The Pittman BGE6050 brushless motor drive is the largest 4-quadrant servo controllers designed for operation in speed, torque and position modes. The Drive can operate as a stand-alone motion controller or as a slave in a CANopen network. 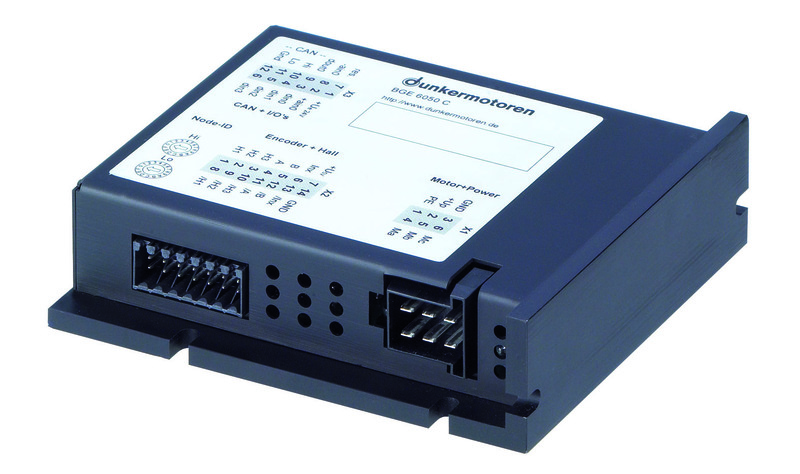 The Drives can operate from 10 – 60 VDC versions with continuous current up to 20 Arms. 1 +UE "Power supply electronic "